The wall was signed at the top right: the ladybug surrounded by 11-5-2002 Manny Garcia. I stopped by on April 25th. 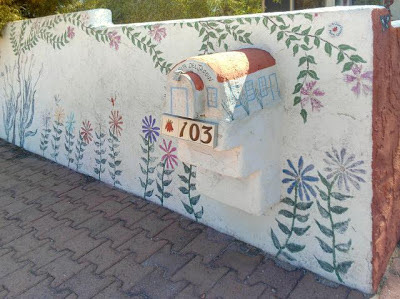 You can see more photos of the home on the Tucson Murals Project blog from today and from 2010.